Recycling and the environment is something we feel extremely passionate about here at Go Plant. We are continually looking to innovate and invest in new technologies that allow us to recycle more and save on waste. Each one of our sweepers are designed to be as energy efficient as possible without compromising on high powered cleaning. The nature of the industry puts us at the forefront of waste management and we gladly accept and thrive under the responsibility of this. Because of our green credentials, our services are extremely sought after from private companies as well as local authorities and major public events. We have worked on events such as Glastonbury, the UK Open and even the Notting Hill Carnival in previous years. 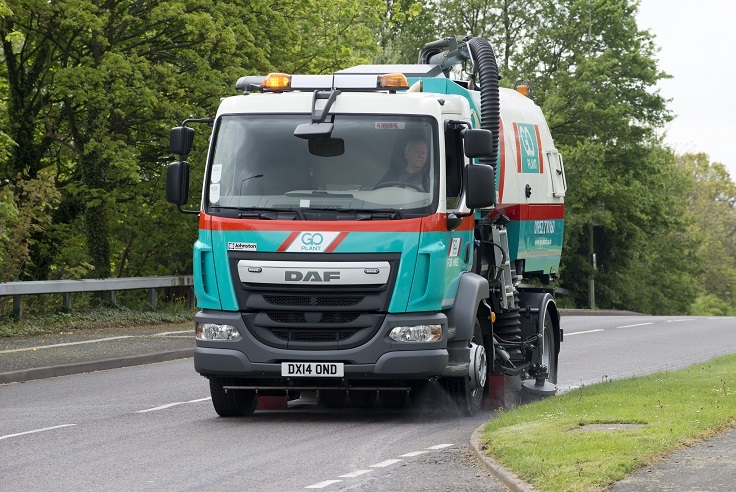 Go Plant’s sweepers and refuse collection vehicles not only help people meet their recycling targets, but also get the job done to an extremely high standard. Our drivers and operational staff have vast experience in enormous clean-up projects and have the organisational skills do get it done with minimal disruption. Each and every one of our sweepers can be hired on an operated or self-operated basis. In addition, they can be hired on a fixed or open ended contract to give you maximum room to manoeuvre around your project deadlines. We understand that projects can overrun or even finish early and we will drop off and pick up your sweepers at a time and place convenient for you. The combination of being energy efficient as well as offering high pressure cleaning performance has made us a UK leader when it comes to hiring sweepers. If you would like to know more about any of our products or services, please don’t hesitate to contact us today for more information.